Follow a few simple instructions and you can look forward to delicious dinners like pork schnitzel or these delicious fried chicken thighs. 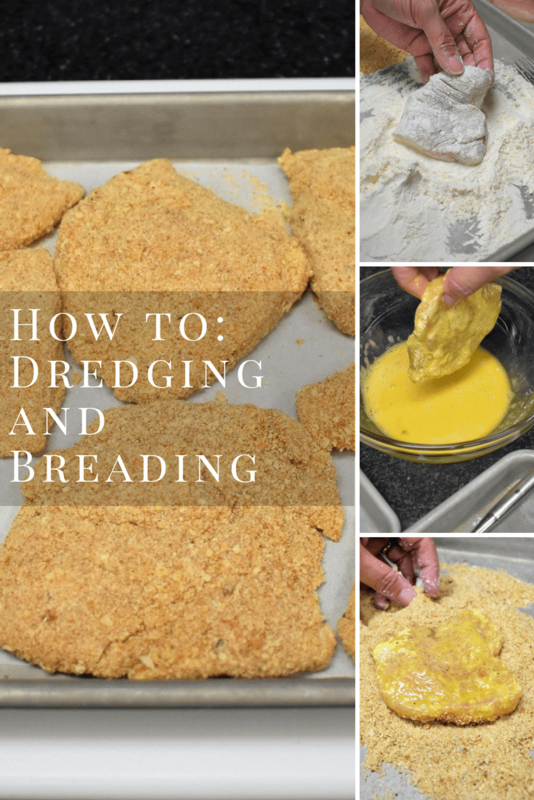 First things first, what is dredging and breading? 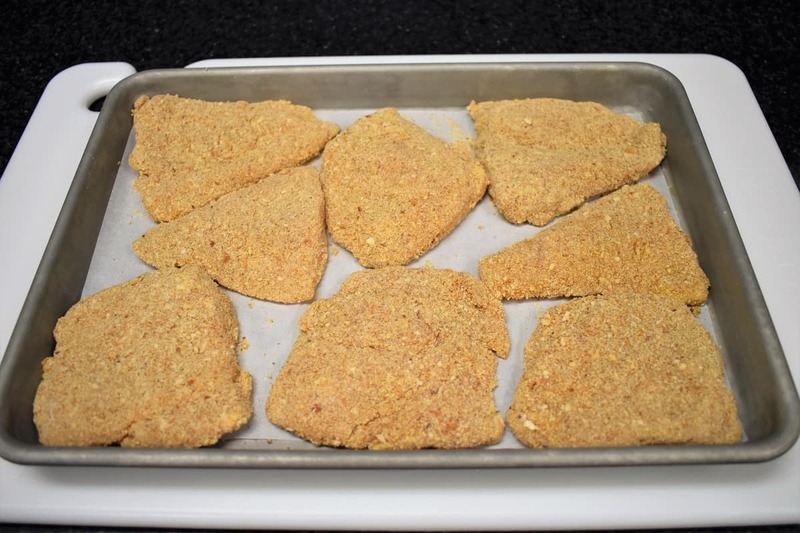 Dredge – To lightly coat food with flour, breadcrumbs, cornmeal, etc., before frying. Bread – To coat food moistened with liquid (such as milk, egg, etc.) with breadcrumbs, flour, cracker meal, etc. Food that is dredged may or may not be breaded. When breading however, you should always dredge with flour. Why add an extra step? Because coating the food with flour first will help the breading stick. You ever have something breaded where there’s a pocket of air between the food and the breading so you can just lift it off? That happens when you don’t dredge first. Should I dredge or should I bread? Which technique to use depends on what you’re making. If you want a thin coating on food, that won’t alter the taste too much, then dredging is the way to go. If you want a thicker, crispy crust then you need to bread the food. 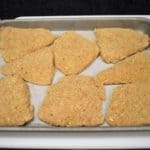 Dredging is commonly used to fry fish, or thin chicken cutlets, like in this chicken francaise dish. Here the chicken is dredged, then it’s dipped in egg and gently fried in olive oil and butter. Yes, it’s amazing! Dredging is also used to make beef soups and stews. The flour coating on the beef thickens the soup beautifully. This Cuban-style beef soup starts with dredged beef. Breading can be used for all kinds of food. Fish, shrimp, chicken, steak, pork, vegetables, you name it and we can bread it! If we’re in the mood for something indulgent, we skip the fast food and make something like this Buffalo chicken sandwich, or this fried pork sandwich. First, set up a dredging/breading station. 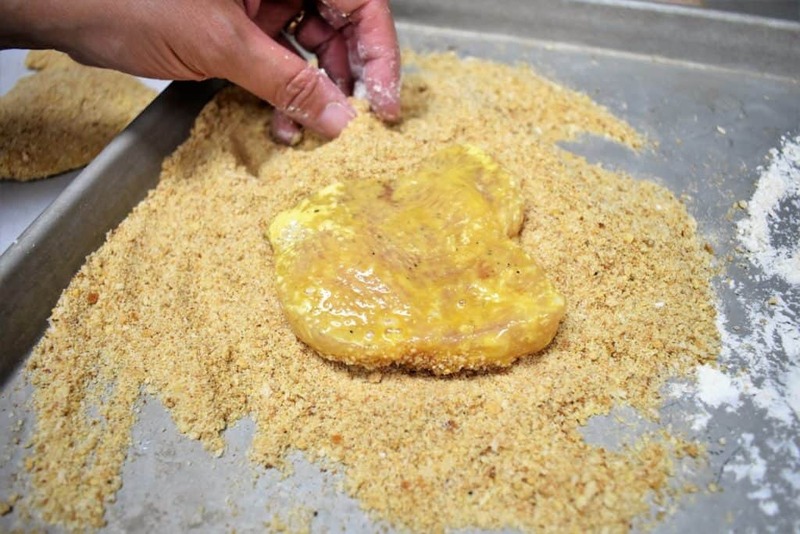 The recipe you’re making will tell you if you’re dredging or breading, what kind of dry ingredient to use (breadcrumbs, cornmeal, cracker meal), if you need eggs or milk, etc. Regardless of the varied possible ingredients, the technique is the same, so we’ll just go over the steps using, flour, eggs and plain breadcrumbs. 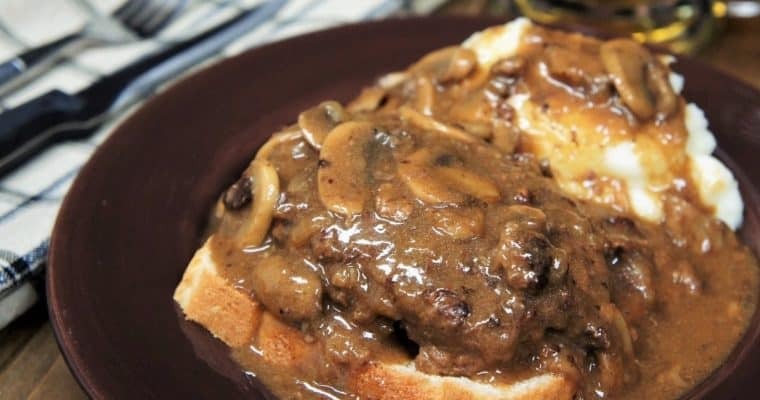 Food should not be too wet, pat with a paper towel to absorb some moisture if necessary. Lightly coat the food in flour. Shake off any excess and set on a pan or plate. 1) Line the plate or pan with parchment paper, dredged food will become sticky and it’s possible the coating will stick to the plate. 2) It’s best to dredge food right before cooking (especially if using flour), if it sits too long the coating gets gluey. So, dredge and fry/cook right away. Start by dredging the food, shake off excess then dip in the wet ingredient (egg, milk, etc.). Make sure the entire piece is evenly moist. 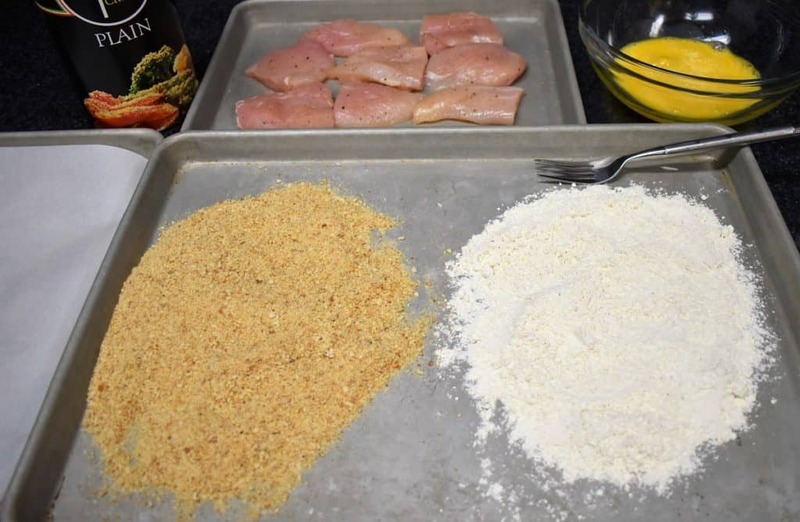 Next, coat the food with a dry ingredient (breadcrumbs, flour, cornmeal, etc). Make sure there is an even coating and gently shake off the excess. Place on a plate or pan. If you’re stacking, use a piece of parchment paper in between so the breading doesn’t stick to itself and flake off. Okay, that’s it. 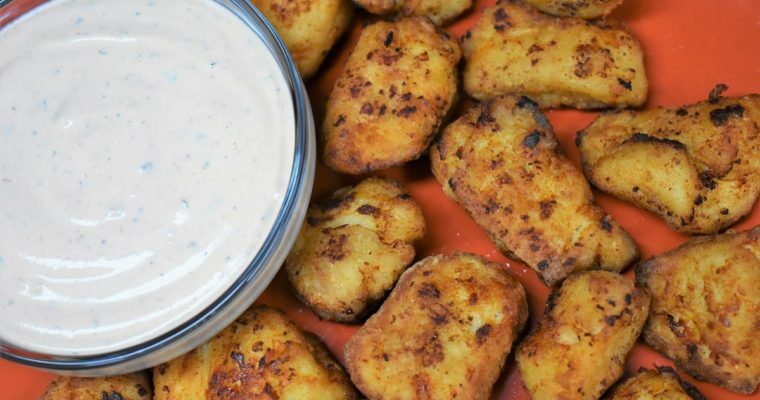 Hopefully you feel confident and will incorporate dredging and breading into your cooking routine. Enjoy! Prepare a breading station. 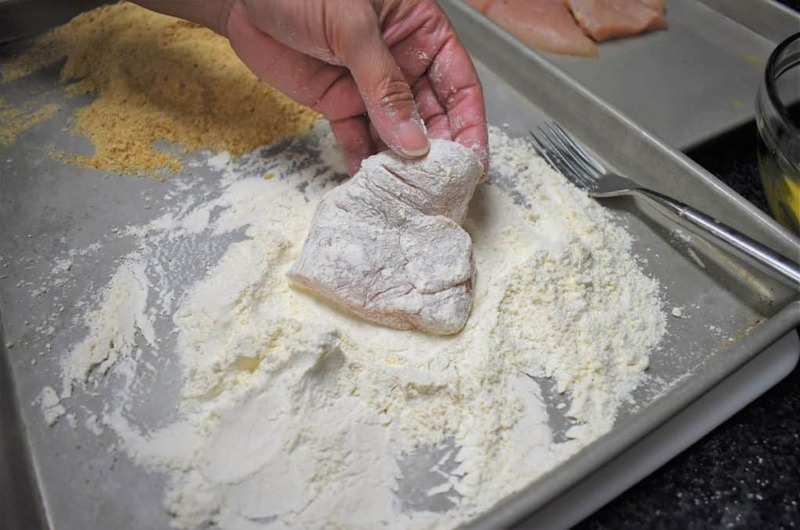 Add flour to one side, breading to another. Use a large baking sheet or two plates. Scramble the eggs or add other wet ingredients to a a large bowl. Line a clean pan with parchment paper. Make sure the food is not too wet, pat with a paper towel to absorb some moisture if necessary. Lightly coat the food in flour. Shake off any excess and set on a pan or plate that's lined with parchment paper. If you're only dredging, then that is all. If breading continue with the next steps. 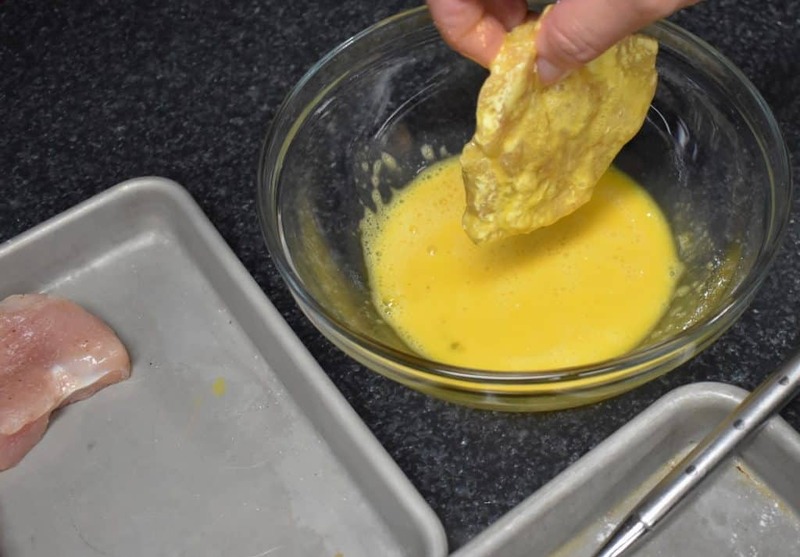 To apply the breading, take the dredged food and dip it in the wet ingredient (egg, milk, etc.). Make sure the entire piece is evenly moist.